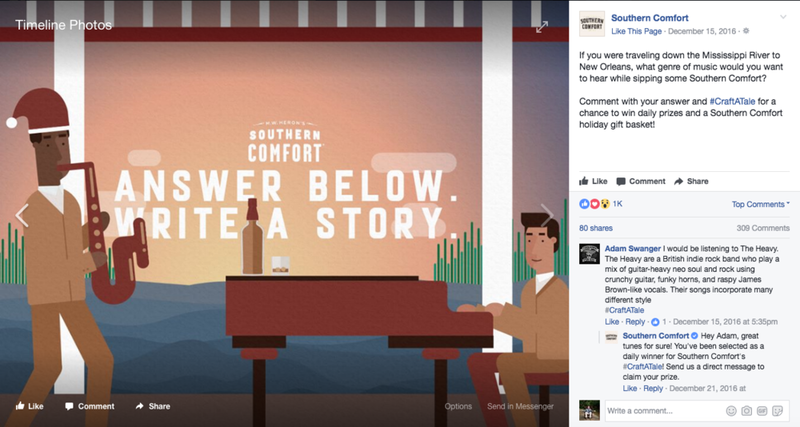 How do you quadruple social response and get fans of Southern Comfort involved with the brand? You ask them to help write a one of a kind holiday story. For 5 consecutive days we posted different themed pictures asking questions. The winning answers altered the story in different ways. Below is the result of the winning fan's answers.